From Walmart to Major League Baseball to the City and County of San Francisco, Lainey Feingold, her clients and co-counsel have convinced some of the nation's largest organizations to deliver far reaching results. How she accomplished this without filing a single lawsuit is now the subject of a path-breaking new book. 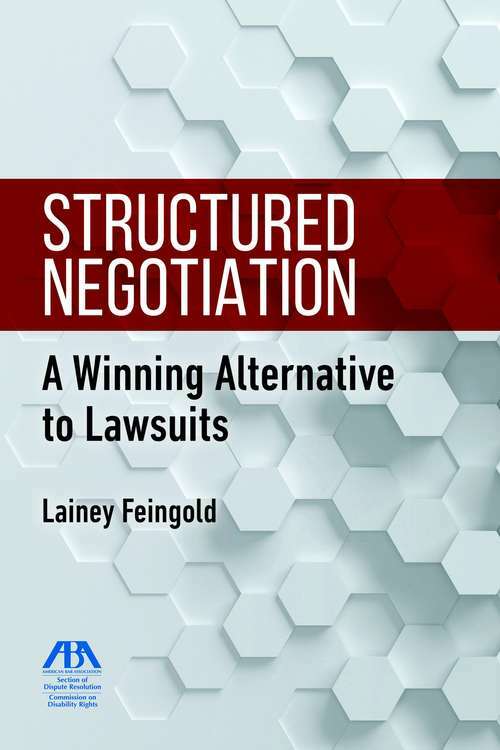 Titled Structured Negotiation, a Winning Alternative to Lawsuits, the book is a nuts and bolts guide for attorneys and advocates in all fields who want an effective new strategy to resolve legal claims.